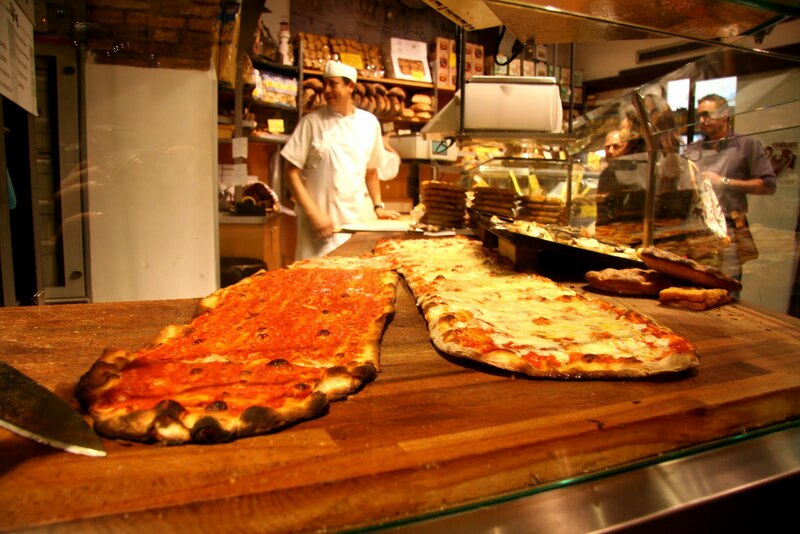 This place is known for its six-foot pizzas, which have a distinctive crispy crust formed by letting the dough rest under a glazing of olive oil. The pizza is sold by the pound, and one very large piece will set you back only two euros. When we were went, pomodoro and bianco pizzas were available.